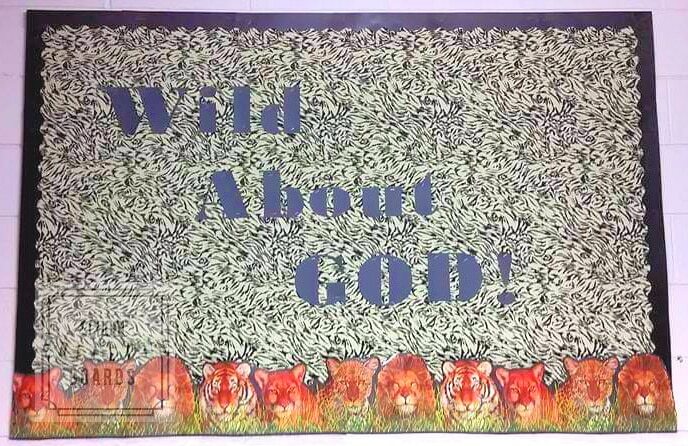 Your students will love the animal references in this parochial themed bulletin board! “I did this board while teaching at a Catholic school a couple of years ago. I enjoyed putting up Science themed boards but I was required to do a religious board too. I incorporated both together. I used an animal fabric background and wallpaper animal border. I laminated the roll to reuse from year to year and for use on various boards. The solid black border was purchased. Construction paper letters were a Word font that was hand cut. Have students brainstorm a list of animals they might see in the jungle or African plains. Next, have students research their animals online and come up with 3 facts about the animal of their choice. 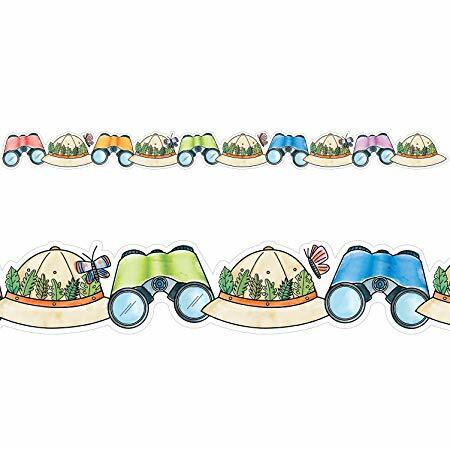 Finally, they can print a picture of their animal, write the 3 facts on the back of the picture, and the teacher can use the pictures in the bulletin board for the animal border after the facts are shared with the class. 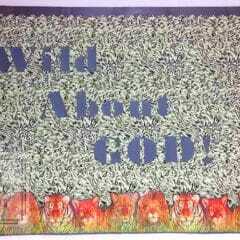 Need some materials to recreate this Wild About God Bulletin Board? Check them out below. 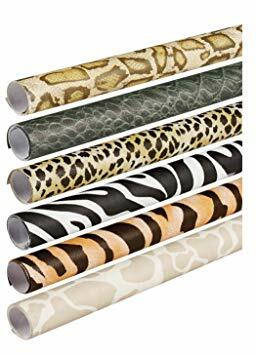 Use wrapping paper for your bulletin board background in any print you like! 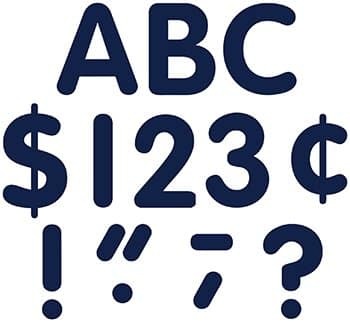 Classic navy bulletin board letters to display your message. Grass border for the bottom edge of your board. If you can't find good pictures of lions and tigers, this cute safari border would be a nice replacement. Traditional black scallop bulletin board border ties it all together. 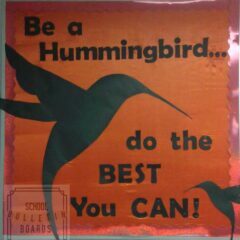 Start by placing your fabric or wrapping paper animal print background on your board. Next up, add the traditional black scallop border around the top and sides of the board. Do not use it on the bottom edge. Place your animal and grass border along the bottom edge. 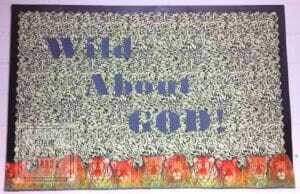 Finally, use your navy bulletin board letters that say “Wild About God!” and center to the middle of the board. Integrating subject areas with other concepts in your curriculum is a great way for students to see how both are related. You could even integrate math and science. Or reading and math. The sky is the limit! 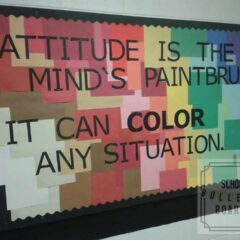 How else could you use this bulletin board idea in your school? Feel free to leave a comment at our Facebook page.